Today, all roads lead to cemeteries and memorial parks as Filipinos pay respect to their departed loved ones. This is one Filipino culture that withstood time, technology and trends. Visiting the dead at least once in a year is one thing that defines Filipinos. November 1st is the time for families to get together, only that it is not a cheery venue. However, you would hear laughter as families who have decided to live in different places see each other after a year. Cemeteries have even once become the place for families to feast on food, drink alcoholic beverage and play mah-jong and card games. But the national and local governments have put regulations for the sake of peace and order. The ritual of lighting a candle for the departed has been part of our culture. Light dispels darkness and it is said to illuminate the soul of the dead. According to Roman Catholic tradition, a candle is associated with praying for the dead – something to do with the doctrine of purgatory. It is believed that the prayers of people on earth can improve the state of those in purgatory and speed up their journey to heaven. A candle lit somehow eases the pain of loss. Regardless of religion, the ritual of lighting a candle has been part of the November 1st celebration to signify that the memory still lives on. Flowers are primarily sent to funerals to express sympathy and convey condolences to the bereaved family. Unlike candles, flowers don’t have religious connotation. However, flowers, along with candles, are in-demand during this season. 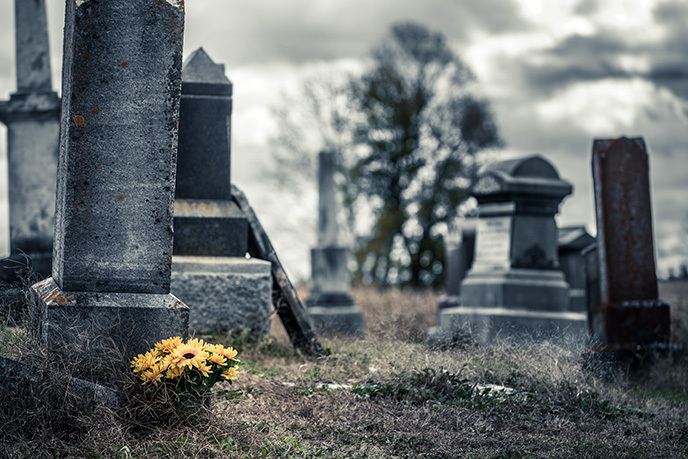 It may just be an option, but families who hold their departed loved-ones close to their hearts really allot a particular budget for the flowers to be brought to the cemetery. It serves as a tribute to the lost loved one. This has nothing to do with the dead but others make sure that they bring something to munch on while staying in the cemetery. Cemeteries are usually situated considerably far from commercial establishments and restaurants. There would be temporary kiosks near the entrance but expect prices to be twice as much. One only get to spend time in the cemeteries once in a year, might as well spend hours there. Thus, they would need something to fill the stomach during the several hours of being there. Today, expect visiting the dead to be fully documented and updated on social media. #undas2017 will surely be trending and “ATM: visiting…” would be the top captions. Gadgets have become a must-have while visiting the cemetery, especially for the millennials. Some would say that seasons like this are becoming more commercialized as time goes by. But those who hold sentiments for their departed loved ones do not mind. What is important for them is that they pay tribute, at least once in a year. Some would even go home from the city and from other regions to visit the grave of their loved ones. The trend may be different, but the tradition lives on.